Work smarter not harder & start with a model instead of a blank spreadsheet. To successfully raise capital you need knowledge, tools and a solid approach. Preparation is critical to the success of not only your capital raise but the planning of your companies growth and part of that planning is the need to properly estimate your your product pricing and sales performance so you can then determine when to raise capital and how much to raise. 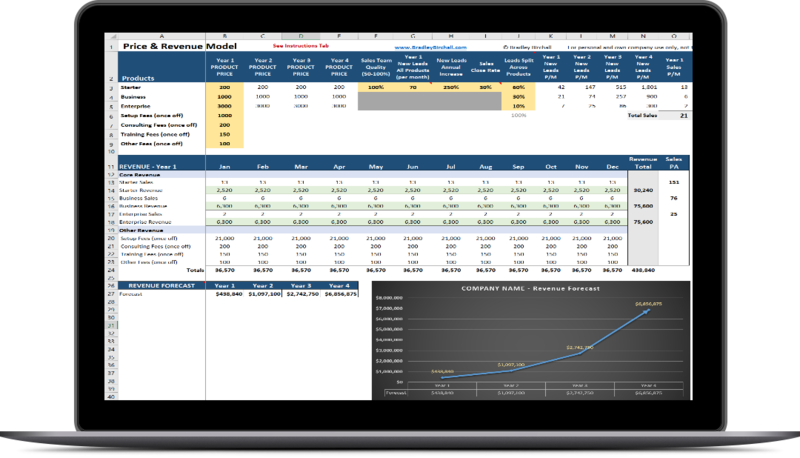 The Pricing, Sales and Revenue Model Spreadsheet is designed to allow rapid updating of your product price points, other income and sales performance so your can test your thinking and have solid numbers behind it. 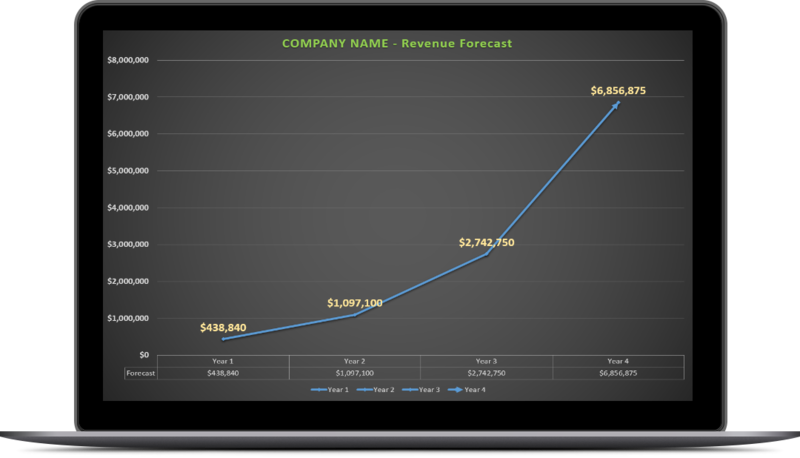 Many years of refinement across hundreds of investor pitches and my real world capital raising experience makes this spreadsheet easy to use and an invaluable tool in determining your optimum product price points against sales performance with a view of how this impacts your revenue forecasts in a beautiful chart view. 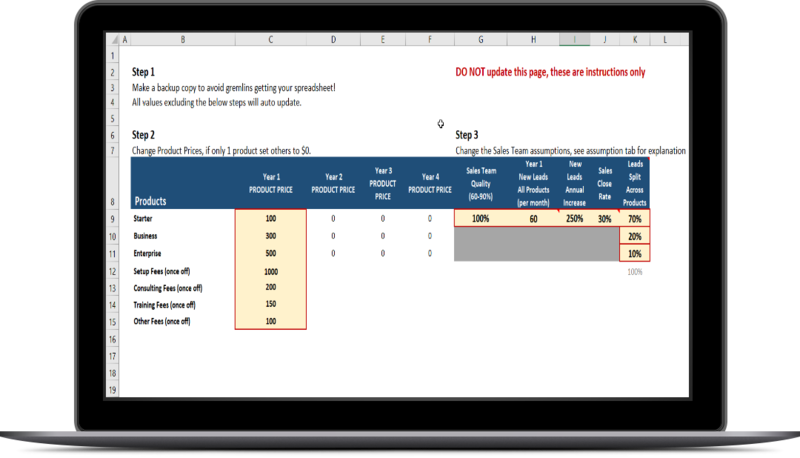 You need basic Microsoft excel skills to get the most value from this spreadsheet.